Each client receives an individually tailored sound program (music or voice) through headphones. The sound is modified through various electronic filters and gates before being transmitted to the ear in a pulsating way to achieve the listening training effect. The modified sound reaches the clients ears through both air and bone conduction. The sound program is designed to reproduce the different stages of the development of listening, which are usually broken down into two phases. 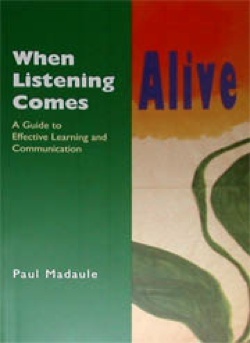 Most often a Listening Training program consists of two intensive phases of approximately 30 hours each, (2 hours/day for 15 days) with a 4 to 6-week break in between. The second intensive can be broken down into two blocks of 7 to 10 days each or three 5-days blocks.